Now it's starting to get darker earlier I feel like we're heading into soup season. So here's a nice hearty, comforting soup from Italy to help keep you warm. 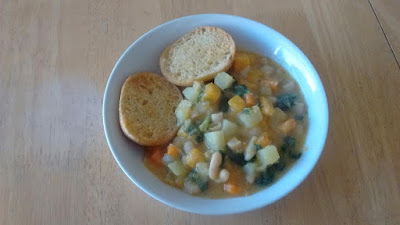 I got some cute tiny crusty bread rolls to use for this soup. 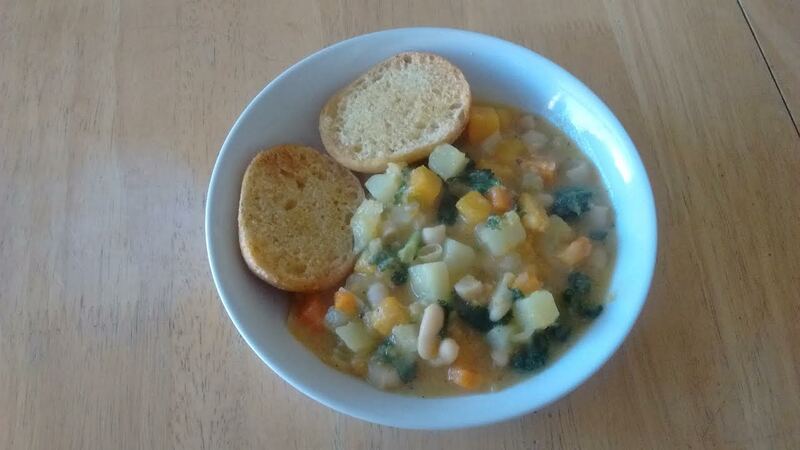 Also, I didn't have garlic so substituted garlic granules instead. 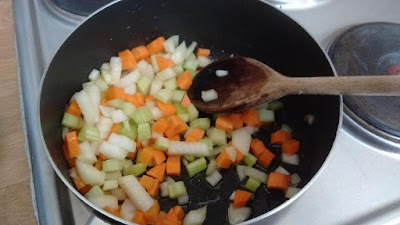 Roughly chop the carrot, garlic, celery and onion. Saute it all in some oil until it's softened. Remove half and set aside for adding later. 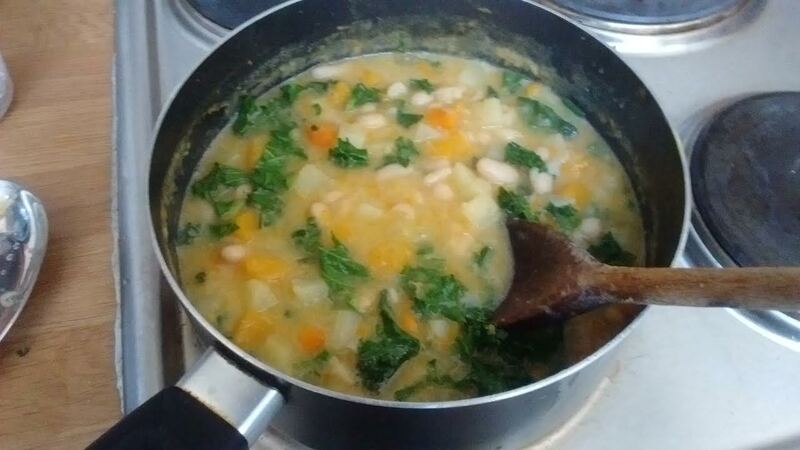 Add one can of beans plus about two cups of water. 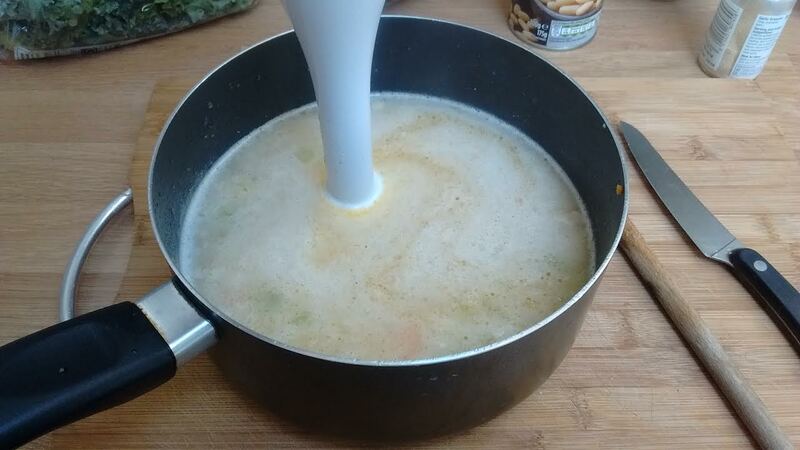 Use an immersion blender to make the soup smooth. 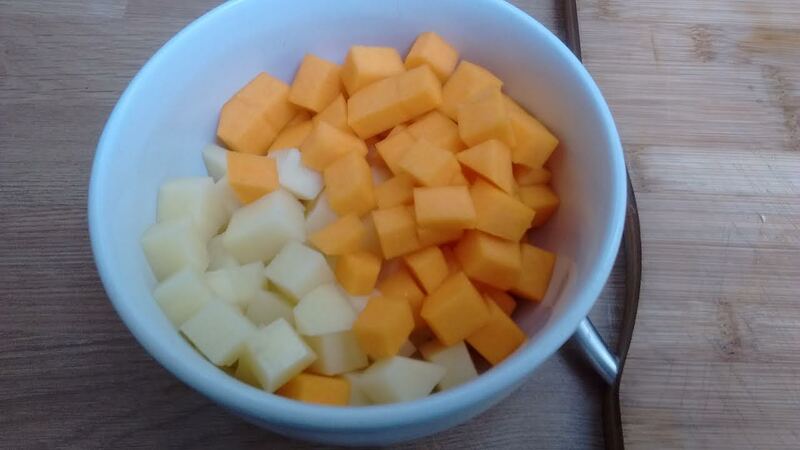 Chop up the butternut squash and potato into small cubes. Add them to the soup and simmer until the vegetables are soft. 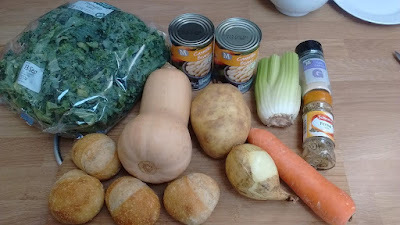 Add the vegetables from earlier back into the soup. 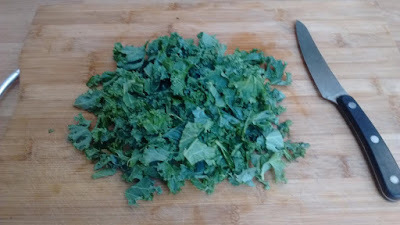 Chop and add the kale at this point and cook a further few minutes to wilt the kale in the soup. 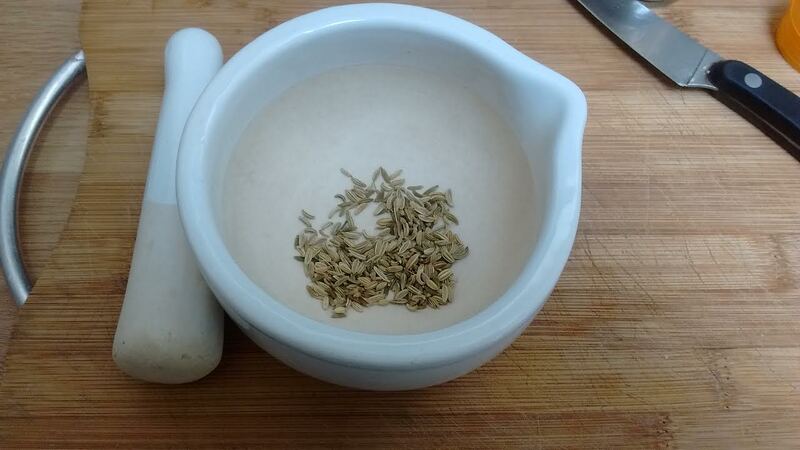 Crush the fennel seeds and then add those to the soup along with salt and pepper to your taste. Slice your bread and rub with garlic. I made some garlic butter to spread on mine. 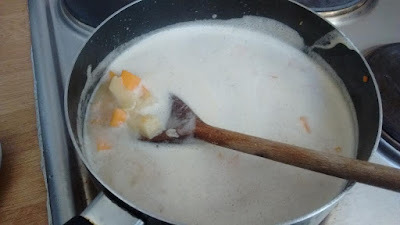 Toast the bread and serve alongside the soup.